Massage therapy is an ancient form of healing. 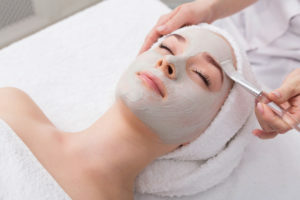 It has been suggested that regular facial massages can keep the skin looking young, smoother, firmer and more beautiful. Massage accomplishes this by releasing tension, minimizing the appearance of fine lines and wrinkles, increasing circulation, tightening facial muscles, normalizing the moisture balance, reducing impurities and toxins, and increasing radiance. It’s no wonder it has been called an anti-aging treatment! Just like any other massage, our skillful aromatherapy massage facial increases circulation, reduces tension on the face, restores energy, increases radiance and of course promotes relaxation. As Massage therapists our main goal is to moisturize and improve muscle tone by using a line of organic plant based products. Regular facial massages can improve and/or minimize the appearance of lines and wrinkles while cleansing and scrubbing the skin. Every facial includes a hand/foot, face, neck and decollete massage. Book your Organic Aromatherapy Facial Massage online today!